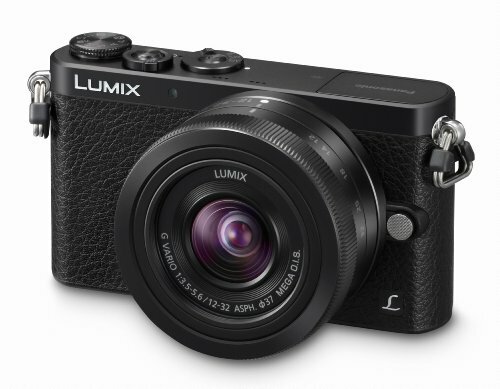 One glance at the Panasonic Lumix GM1 and you’ll assume it’s a compact camera. Well, it is compact by size - that much is clear - but as it’s got an interchangeable lens system as is part of the Micro Four Thirds family it, therefore, falls into the compact system camera (CSC) category. The very fact you can swap the lenses out for others makes it oh so much more than a compact camera. We first saw the GM1 at a preview event in the middle of October 2013. Three weeks later, upon taking delivery of the camera and after unravelling it from its packaging, we couldn’t help but chuckle to ourselves. That hysteric was a response to how small it truly is, as if somehow our brains had failed to register that upon the first viewing. What is perhaps most compelling about this camera is the sense that just because it’s small doesn’t mean it’s not mighty. With much the same makeup as the Lumix GX7’s innards - which we saw earlier this year and thought was great - can the GM1 live up to such high levels of performance and is it an ideal compact camera alternative? With the GM1 in hand - and it literally fits in the palm - it’s easy to discern the differences between this camera and the GX7. There’s no viewfinder, no ability to add one as there’s no hotshoe, and it’s a lot smaller with less of a grip. Often we’d align those as criticisms, but in the case of the GM1 we can’t. Not really, anyway. That’s not what this camera is supposed to be. It’s the kind of product that’s looked at the likes of the Fujifilm X20 and Sony RX100 and - probably after lots of Japanese R&D guys have scratched their chins for a while - figured out how to attack that market position. And you know what? It attacks it with gusto and, on paper, it wins out. The primary reason for that is sensor size: the Micro Four Thirds sensor on board - the same, 16-megapixel, best-yet performance one as found in the GX7 - has almost four times the surface area of the Fujifilm X20’s 2/3-inch sensor, and close to twice the surface area of the RX100’s 1-inch sensor. But numbers games are boring, it’s down to real results - which we’ll delve into in more detail later. But for now, all we need to say is that from such a compact device we’re very impressed. We might sound like a stuck record bringing up the GM1’s size time and time again, but it’s truly small and more or less without compromise. That’s a rare thing, something that, say, the Pentax Q system was unable to pull off. The GM1 measures 98.5 x 55 x 30.5mm. When we were doing a little tidy-up around the house we grabbed a passport and the camera in one hand and laughed to ourselves that the GM1 has a considerably smaller footprint of the two. The obvious caveat is the device's depth, which is based on the lens on the front. With the included 12-32mm collapsible lens in its dormant position you’ll need to add approximately another 40mm to the depth, totalling a front-to-back 70mm protrusion. To switch the camera on a flick of the on/off switch and twist of the lens into its usable position is required - unless you have a different lens in use, that is. Build quality is decent too, although the snake-skin-like faux leather front might not suit all. It’s subtle in the black finish, borderline garish in the orange finish; something that could only be avoided if, we think, it was real leather - Vertu or Hermes style. But that was never going to be a reality at this price point. The main body is metal, though, which delivers an almost weighty feel in the hand. It’s "almost" because body and battery combined weigh in at just a shade over 200g; with the kit lens attached the whole package feels about 250g. Light, yet sturdy. Good job. Mini marvel or massive problem? Taking the Micro Four Thirds concept and scaling it down means relative down-scaling elsewhere. While the 3-inch, 1,036k-dot screen is an impressive panel and doesn’t suffer this miniaturisation process, the size of the rear buttons and top dials do shrink compared to the norm. At first we weren’t sure it’d work out as things looked too close together, and clunky thumbs might knock the wrong buttons without wanting to. After using the camera over a long weekend we didn’t find that to be a problem after all. Yes the buttons are small, but they remain on the usable side, including the crucial rotating rear d-pad that you’ll use to control pretty much every manual setting. Instead it was something else that caught us out more often: the touchscreen. Now, we love the ability to press for pinpoint focus on a screen for quick response. But all too often we accidentally tapped the screen - whether by stray digit, when removing from a bag or pocket - and the focus point ended up positioned somewhere we didn’t want it to be. There’s hardly any travel between buttons and the screen, which is why this can be a problem. Of course you can deactivate the touchscreen, but we liked using it for the most part. Particularly so when it came to tapping the physical Q Menu button to bring up the on-screen quick menu. It shows up and a variety of options that you can either slowly scroll through using the physical controls or quickly tap the exact option you want with a finger. It’s here where all the autofocus, ISO, exposure compensation, image size/quality settings and so forth can be delved into, leaving the menus uncomplicated. Of all the system cameras out there at the moment it’s the Panasonic’s "Pinpoint" autofocus mode that’s among our favourite things. It’s such a simple idea, too - a crosshair that you can tap to position on the screen, whereafter the preview screen zooms in to 100 per cent scale to confirm that focus has been made where you want it. It does as the name says. We like this mode a bundle because it’s of genuine use, and something we use a lot. But that’s not all that’s impressed us. The ability to latch onto subjects in even dim light and still acquire focus is also no problem with the GM1. We’ve been shooting at ISO 3200 handheld indoor with great results, and no need for the built-in pop-up flash. If it gets really dark then you will need the flash, but at least it’s available and subtly integrated into the design. Autofocus speed is also the typically turbo-speed offering that we’ve come to expect from the Lumix G brand, swiftly locking on in so little time you'll barely have time to blink. There’s an exception to this - and that’s when shifting the autofocus dial on top of the camera into its continuous mode. There’s just something that lacks somewhat in AF-C, although we can’t name a single compact system camera that can take on a quality DSLR and track a subject in real time with as much success. We had taken the GM1 to a wedding to act as a B-roll camera and in those sorts of lighting conditions it’s wasn’t happy to update the focus position with ample speed; it wasn’t awful, mind, just don’t have crazy-high expectations. That aforementioned AF dial can toggle between single (AF-S), continuous (AF-C) and the half-way house automatic (AF-F), and there’s a function (Fn1) button to its centre that can be occasionally useful but is positioned in a place where we didn’t feel magnetised to it during use. The other pinch is the battery life. With a quoted 220 shots per charge available from the DMW-BLH7 li-ion rechargeable it’s performance is fairly paltry. In fact we’d say it’s this that costs the camera from near-perfection. The "three bar display" to represent remaining power is also a limited way of portraying how long is left in charge - we found that the full battery dipped to two out of three in little time, and sat on one out of three for a considerable period. It didn't feel balanced in its delivery of information and a percentage view would be much better. And then there’s video capture. It maxes out at 1080i at the highest framerate, not 1080p, because the close-together nature of the parts in the GM1’s build would otherwise lead to overheating. Understandable, but still limited compared to the competition. As we’ve mentioned the GM1 has the same 16-megapixel sensor as found in the GX7. Results, therefore, are much the same - and that means the best Panasonic compact system camera image quality you could hope for - dependent on the lens you have on the front of the camera. And in the case of the 12-32mm f/3.5-5.6 kit lens we’ve been impressed. Compared to the GX7 with 14-42mm lens, we’ve found the 12-32mm to show less chromatic aberration - those subtle fringes that can appear around contrasting subject edges. All positive. But what sort of makes the GM1 even better in the image quality department is that you’ll feel as though you’re using a compact camera and, therefore, the results that you’ll see on screen and on the computer astound even more. We know it’s not a compact, but there’s a blurred line where our minds seem to fail to quite acknowledge that. In the dulls of the British autumn we’ve been shooting throughout the ISO range to get a good sense of how the sensor can perform and right up to ISO 3200 we’ve been impressed. Indeed, we’ve seen base ISO shots from compact cameras that look worse than the GM1’s ISO 3200 shots. How about that? However the lowest sensitivity available is ISO 200. There’s no ISO 160, no ISO 100 either, which is a bit of a pain but typical of Micro Four Thirds cameras. At the other end of the scale it’s possible to push into ISO 25,600 territory which we found was pushing things too far, but otherwise the high ISO performance is a successful balance of resolution to sensor scale and the JPEG shots limit image noise very well indeed. There is image processing to be seen, however, to cover up image noise, so the finer details disappear from the mid to high sensitivity range. Up to ISO 800 and we have no qualms, up to ISO 3200 and we're still happy. At the moment we’re stuck without a Windows machine available in the office so have been unable to look at the raw files on our Mac - something we’ll update the review with when the software comes along. There's other image-based trickery that can be performed in-camera, including a stack of processing options, such as the Creative Control option on the main mode dial. Here it's possible to select monochrome, isolated colour and a variety of other pre-set visuals - including classic "retro" film looks - straight into your shots. Each shows up in real time during preview too, so you'll know exactly what you're getting. The Micro Four Thirds sensor may be smaller than those in other compact system camera bodies, such as Sony NEX Alpha, Samsung NX, Fujifilm X-series, or Canon EOS M, but then none of those competitors could produce a system at this small scale, particularly in the lens department. The GM1 sits in the right place; almost its very own place, untouched by much of the competition. We’re pleased as punch with the resulting images. The Panasonic Lumix GM1 is an utterly brilliant little camera. It sits on the fence between compact and compact system cameras yet gleefully sticks its tongue out at both sides. It's rare that a product feels like a hybrid of ideas and yet succeeds with such greatness - the GM1 is a clear, outstanding exception. It's well built, fairly priced, takes superb quality images and, the real selling point, is genuinely small without compromise. So small, in fact, that it takes up less overall space than the Fujifilm X20 compact camera. Colour us impressed. For all its greatness there's one niggling thing that lets the Lumix GM1 down: battery life. With a mere 220 shots per charge under its belt, it's walked all over by the competition in this department, including dedicated compact cameras. That's some 50 per cent less than the Sony RX100. for example. In a world where tech is getting better at consuming less power and lasting out longer, we think the GM1 needed to show itself off better in this department. Saying that, given the choice of a GM1 or a similar price high-end compact camera we don't even need to think for a second about which we'd go for. The GM1 wins out every time. It's a product that sits in a special place, one that we can't help but view as a compact competitor rather than a through-and-through system camera; we'd be unlikely to use it with a lens larger than the 12-32mm kit included - and here's where street snappers' eyes light up - or the forthcoming 15mm f/1.7 Leica Micro Four Thirds lens (although that will cost more than the camera, no doubt). Overall the GM1 is a shrewedly positioned little camera that we can't help but think big, wonderful things about. If there was a second spare battery in the box for the list price we'd already be heading to the shops to buy one.